Ireland’s Midleton distillery has unveiled Midleton Very Rare 2018, the 35th in its annual series of high-end blended Irish whiskeys. Described as a blend of ‘exceptional, rare and hand-selected single pot still and single grain Irish whiskeys’, Midleton Very Rare 2018 is made up of whiskeys matured exclusively in lightly-charred ex-Bourbon American oak barrels for between 12 and 28 years. The whiskey is said to have a ‘subtle floral note, alongside a hint of fresh herbs and citrus from the Irish grain whiskey contribution, which is complemented by the spicier Irish single pot still whiskey characteristics of cinnamon, clove and black pepper’. ‘We set aside very small amounts of particularly fine single pot still and single grain distillates each year, so that the Midleton Very Rare legacy can continue,’ said Brian Nation, master distiller at Midleton Distillery in County Cork. 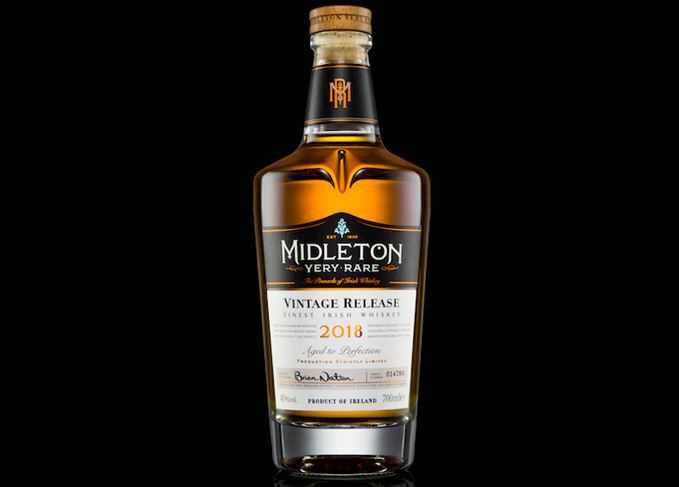 Bottled at 40% abv, Midleton Very Rare 2018 is available in countries including Ireland, the UK and the US from this month, priced at €180 a bottle. The series of annual releases began in 1984, and was led by Irish Distillers master distiller emeritus Barry Crockett until his retirement in 2014, when Nation took over. You can buy this bottle at The Whisky Exchange. It may also be available from these other retailers. As the 34th vintage is launched, we assess the evolution of the ‘pinnacle of Irish whiskey’. The newly repackaged whiskey is the 34th annual release from the Irish distillery. The private members club offers a selection of single casks priced at up to €450,000. The Midleton master distiller talks serendipity, single pot still and experimentation. A sublime trio: Glenmorangie Astar redux, ethereal Brora and Midleton from the archives.